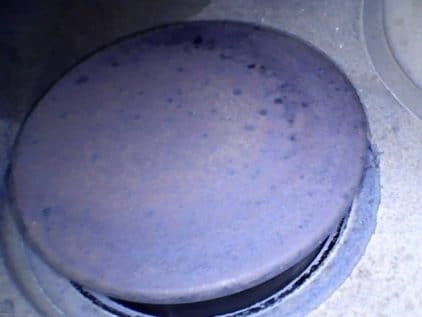 Exhaust Valve Save (or Precancerous Treatment Success) | Tennessee Aircraft Services, Inc. I happen to be very light complected, complete with freckles and sandy reddish hair, so excessive use of sunscreen is just a normal part of life. They say “you can’t swim outside your gene pool” which, for me, means that I get to make visits to the dermatologist for continuous inspections. There are always those little “precancerous” spots found that the doctor will freeze off, which, of course, feels much more like burning. I don’t know how likely it is that one of these spots would ever turn into cancer, but I am sure that cancer is worse than a little freeze-burn. We have similar early detection methods for exhaust valves and even some possible freeze-burn methods to help avoid failure. Using a simple borescope or videoscope on a routine basis can help in very early detection of valves heading for departure. If identified early enough there are a couple of methods that have proven effective in stopping the asymmetric heating of a valve (precancerous). The two freeze-burn possibilities are lapping the suspect valve in situation or replacing its rotocoil. I’ve covered the valve lapping process in previous articles, so let’s have a look at the rotocoil. An exhaust valve burns because it doesn’t make proper contact with its seat when closed. This contact is the primary heat transfer path for cooling of the valve head. To help make reliable valve to seat contact throughout the life of an engine, the valve is designed to rotate slightly with each opening and closing cycle. Part of the concept is to even the wear and tear on the mating surfaces. If the valve won’t rotate, then uneven wear or a piece of debris can inhibit full contact, causing a leak. The leak point then becomes a hot spot on the valve, and asymmetric heat patterns begin to show. A fully burned valve will have an area at the valve’s edge that exceeded 1650 degrees F, which turns the steel a bright green color. If detected before the green occurs, the valve might be saved if the cause is lack of valve rotation. A typical compression check may not reveal a problem until it’s too late. Without seeing the valve, it’s impossible to know the extent or nature of the damage. Just a few minutes with a borescope will produce excellent data from which one can determine if a rotocoil replacement would be a viable mitigation. Traditionally, one would extract the valve as a precancerous precaution. Valve replacement requires removing the cylinder, which a fairly invasive event. Pulling a cylinder then implies new piston rings, which leads to break-in flight time. Complications compound if the break-in isn’t performed well or any maintenance induced failure should occur. Replacing a rotocoil, by comparison to a cylinder pull, is a minimal effort and minimally invasive. 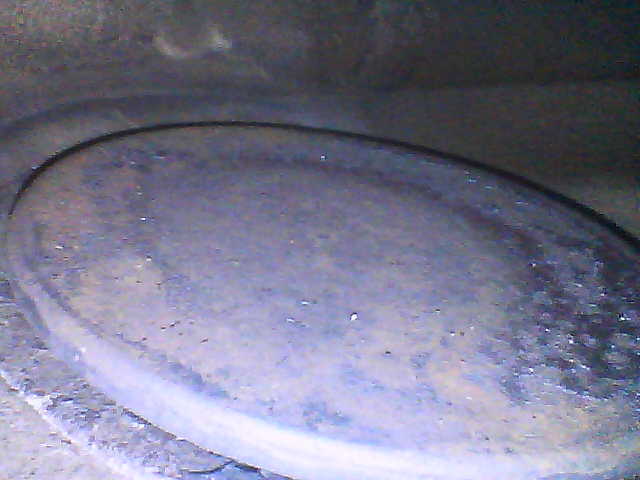 The rotocoil sits atop the exhaust valve stem and can be seen just by removing the valve cover. The short story for rotocoil removal starts with pushing a length of rope through a spark plug hole. The prop is rotated such that the piston pushes up toward the valve, compressing the rope against the valve to hold it in place. A special tool is used to compress the valve spring, relieving pressure from the rocker arm shaft. The rocker shaft is removed as well as the exhaust valve keepers. 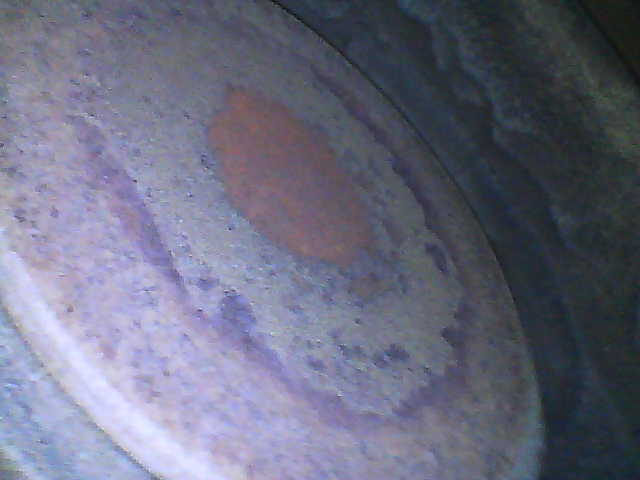 The rotocoil is now exposed and easily replaced. As my old car service manuals used to say, “installation is reverse of removal”. While It is true that replacing a rotocoil costs much less than replacing a valve, my maintenance decisions are rarely made based on cost. I prefer avoiding maintenance anytime I can when the situation is appropriate. If the less intrusive method is safer, more reliable, faster, and achieves the same solution, then it seems the obvious better choice. The fact that it cost less is just a side bonus. In November of 2016, we performed an annual inspection on a Columbia 400 (turbocharged Continental TSIO-550 engine) and noted good compressions on all cylinders. As is our practice, we took pictures of all the exhaust valves and stored them away for future comparison. The engine’s total time in service was 1103 hours. The plane returned for annual in very late 2017 with completion in January of this year. We discovered lower than preferred compression on two cylinders. As always, we performed a borescope inspection of all the cylinders and discovered the two low compression cylinders had exhaust valves with asymmetric color patterns. We documented the valve conditions and installed new rotocoils on the two exhaust valves. The engine’s total time in service was 1291 hours. The plane returned to us again in early June for an oil change and a check of the exhaust valves. Again with the borescope we looked for the results of our rotocoil installation and were very happy to report that the two exhaust valves in question had returned to a normal symmetrical color pattern. We didn’t bother with a compression check but will follow up with that at the next annual when it’s FAA required. The engine’s total time in service was 1337 hours. Losing an exhaust valve is an exciting event, and not in a good way. I strongly recommend avoiding it if possible. Fortunately, most of us understand the value of prevention, and we have several very good tools to do just that. Exhaust valves give a fairly long warning time before failure, but one must be watching for it. I recommend routine borescope inspections as frequently as is practical. Everything worked out well in our example. The valve was saved, the cylinder didn’t have to be removed and, most importantly, a failed valve was avoided. All in all, a very good outcome. The exhaust valve at annual in late 2016. Compression test was at 48/80 which was above the master orifice minimum of 42/80. All appears in good condition at this point. The same exhaust valve at the next annual in very early 2018. Compression test now at the minimum of 42/80 but showing asymmetric color pattern. A good opportunity to attempt a valve save. After some flying, the valve now shows symmetrical color patterns and compression has improved. We’ll check again closely at the next annual.